Series editor John Joseph Adams and guest editor Charles Yu have released their selections for the Best American Science Fiction and Fantasy 2017. This entry was posted in Like Show Business and tagged Charles Yu, John Joseph Adams by Mike Glyer. Bookmark the permalink. Isn’t this the anthology where the final selections are made by blind reading? (that is, author’s name redacted) The last couple of editions showed an almost 50/50 male/female split, and so does this one. Also looks like nice POC representation. 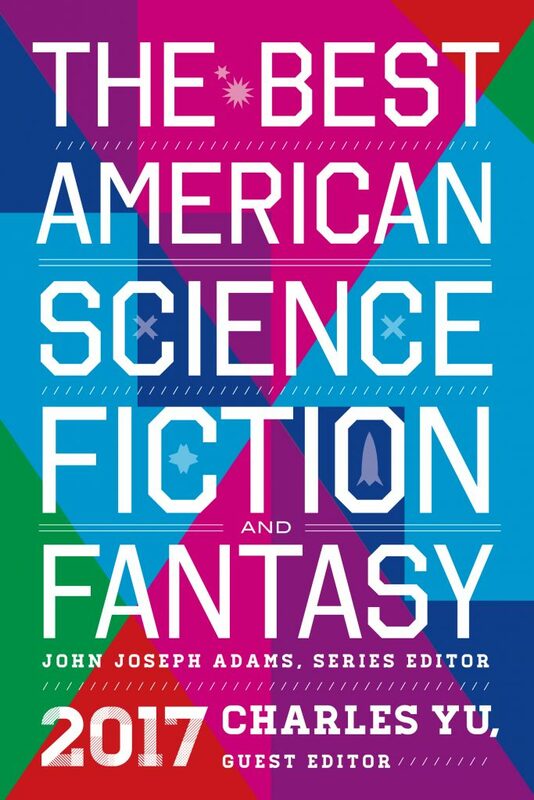 @Bonnie: Yes, the way they’ve been doing these – which I think is great – is that Adams makes the initial selection of 80 stories, which are then passed with no author information to the guest editor (Charles Yu, in this case), who makes the final selection. ETA: I still haven’t gotten to the 2016 anthology yet, but I thought the 2015 edition was excellent. PhilRM: Glad you pointed that out. I had the information in my draft and accidentally cut it. I’ve rewritten the paragraph to get it back in.